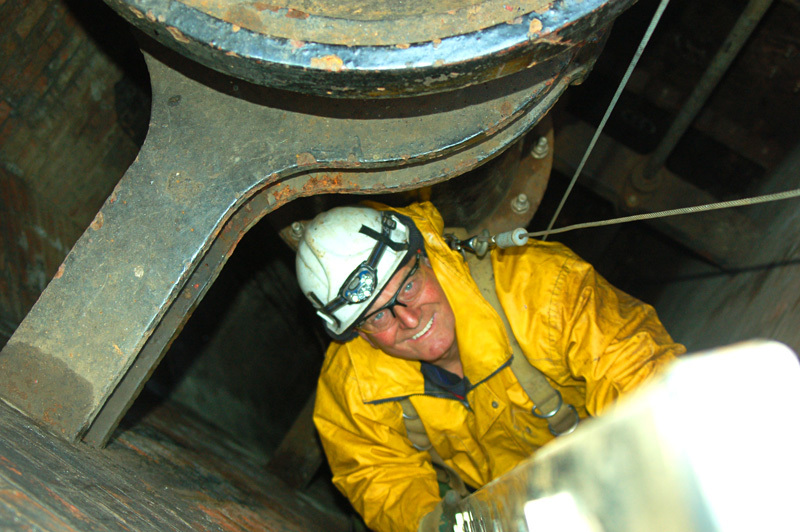 Valve tower inspections (dry side) on Reservoirs generally require working in confined spaces in this situation for added safety a fall arrester is always implemented to assure the complete safety of team members. 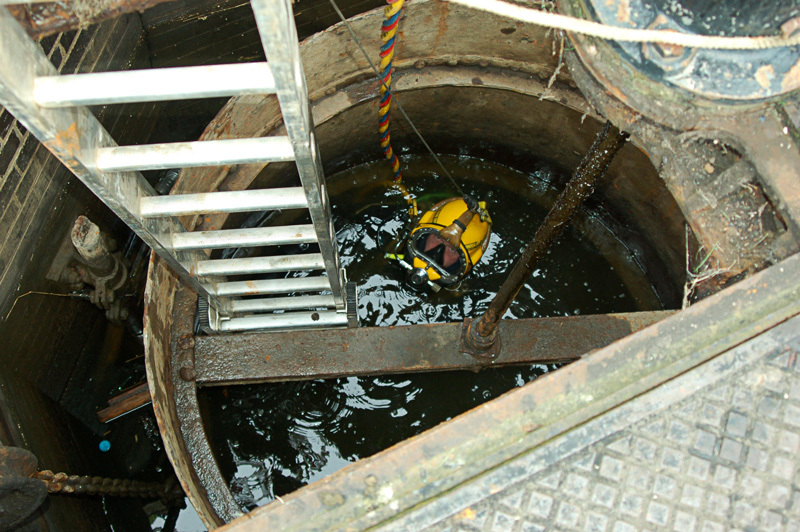 Valve tower inspections (wet side) on Reservoirs generally require working in confined spaces. The tender exchanges line pull signals with the diver, keeps the Diving Supervisor informed of the line pull signals and amount of diving hose / tending line over the side and remains alert for any signs of an emergency. 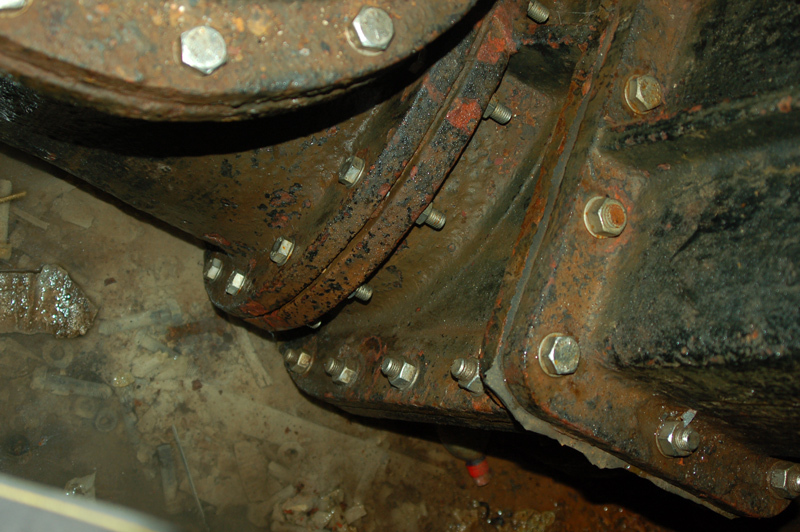 Tunnel and pipe surveys are always supported by a 5 man commercial diving team. Air purity tests are stringent and the correct personal protective equipment must be used with a system of rescue established; these are the minimum legal requirements as stipulated by the Health and Safety Executive. 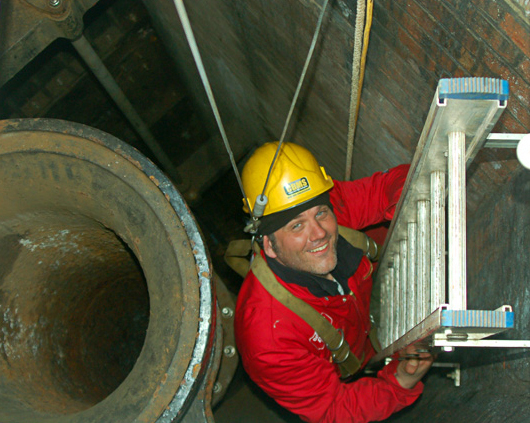 Providing a comprehensive range of specialist confined space engineering skills. It is a general misconception within the industry that because an individual is qualified to operate the specific diving equipment worn by Commercial Divers they automatically assumed to be able to carry out the task in hand. 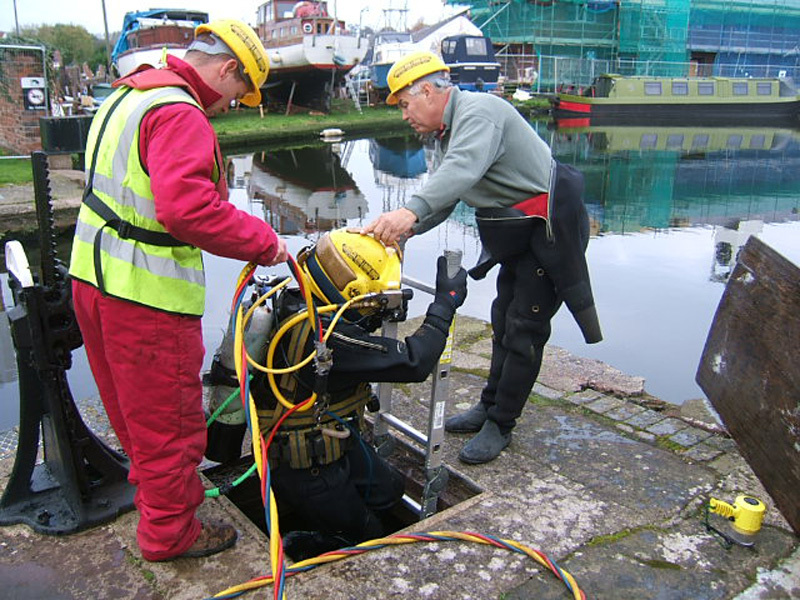 This is not always the case, the diving equipment is merely a method of getting to work in the safest possible way. What the diver does there is when their commercial abilities are demonstrated to provide proof they are a dynamic and hi-tech professional with skills and high performance vital to complete the task. We pride ourselves on our success and deliver the high standards demanded by our clients. When operating in a confined space situation, the need for a clear and concise method of egress from the site in the event of accident or injury is important. Most workplaces contain areas that can be considered to be “confined spaces”. While they are not necessarily designed for people to enter, they are large enough for personnel to enter and perform certain tasks. A confined space is also generally restricted or limited by means of entry or exit and is not designed for continuous occupancy. 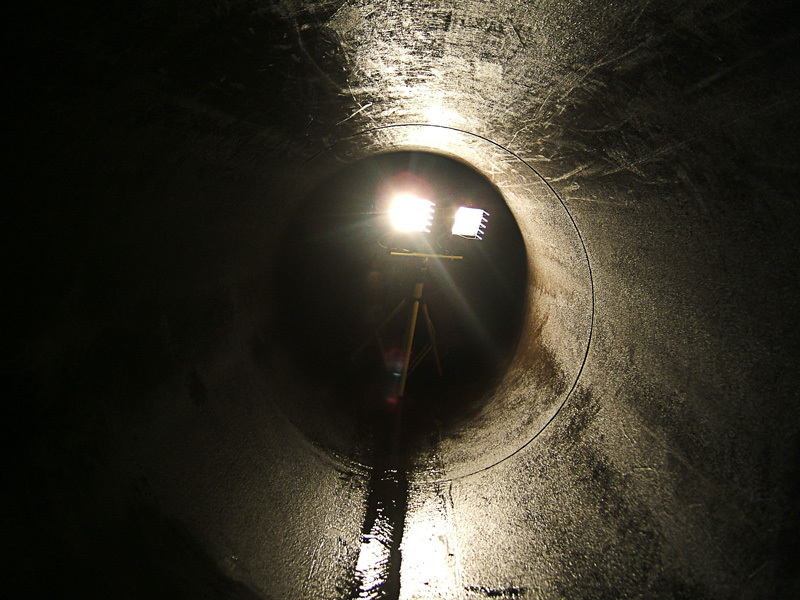 Confined spaces include, but are not limited to, tanks, ceiling spaces, pits, manholes, tunnels, ductwork, and as seen in the photograph opposite power station pipelines. 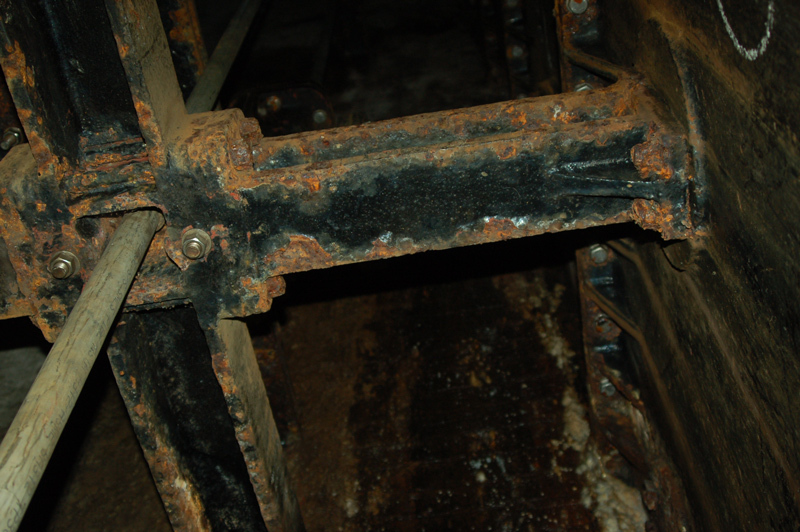 Replacement of worn, broken or corroded part is a regular task carried out by CDMS SSE Ltd. Remedial maintenance of Heritage or listed buildings and structures are a part of the companies portfolio of projects. Work is delivered on time and within budget with a personal commitment every time. In some cases the client requires a structural survey, the ability to provide clear, concise information with photographic evidence is important.